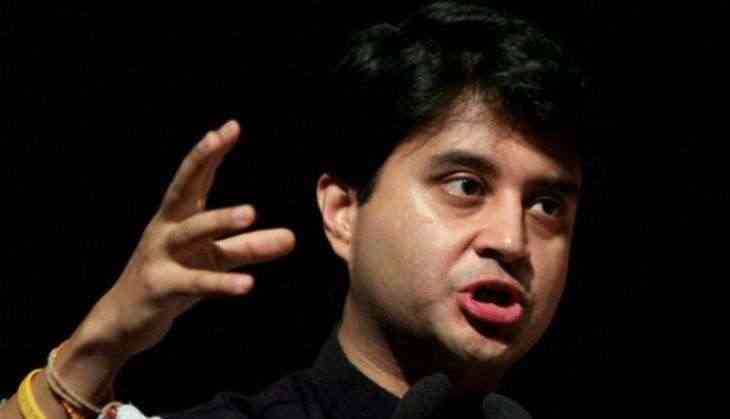 Congress General Secretary Jyotiraditya Scindia on Wednesday said that his party is formulating a strategy for the upcoming Lok Sabha elections keeping in mind the regional issues. "We are formulating the strategy for the road ahead based on regional issues. We are working on the process of strengthening the organisation, we analysed these issues for 12-13 hours today," Scindia said after attending the Uttar Pradesh Congress committee meeting. Meanwhile, Eastern Uttar Pradesh Congress general secretary Priyanka Gandhi is still inside the party office here and is meeting party workers. The Congress is leaving no stone unturned in wooing the electorates of Uttar Pradesh, which accounts for maximum number of seats in the Lok Sabha. On Monday, Priyanka along with Scindia and brother Rahul Gandhi conducted a fierce road show in Lucknow. The roadshow was also the Congress's first mega show of strength in Uttar Pradesh ahead of the 2019 Lok Sabha elections. According to sources, Priyanka will meet the party workers till 14 February and is scheduled to visit several constituencies in eastern UP region from 18 February to 21 February. She was formally ushered into the party fold on January 23 on "a mission" to transform its fortunes ahead of the Lok Sabha elections due in a few months.